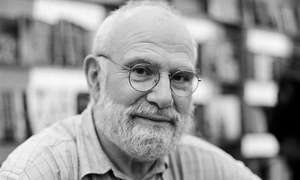 Oliver Wolf Sacks, (9 July 1933 – 30 August 2015) was a British neurologist, naturalist, historian of science, and author. Born in Britain, and mostly educated there, he spent his career in the United States. He believed that the brain is the "most incredible thing in the universe." He became widely known for writing best-selling case histories about both his patients' and his own disorders and unusual experiences, with some of his books adapted for plays by major playwrights, feature films, animated short films, opera, dance, fine art, and musical works in the classical genre. De (autor) A. R. Luria et al. De (autor) Steve Silberman et al. De (autor) Susan R. Barry et al. De (autor) Oliver Sacks et al. Traducere de Hainer Kober et al. De (autor) Dr. Angela Mailis-Gagnon M.D. et al.